An innovative Ambassador Programme aimed at bringing together business leaders in Perth to maximise its opportunities on a UK and global scale, is proving a success. The Invest in Perth Ambassador Programme was designed to help promote the city to the world as a high quality business location and an attractive proposition for inward investment. Since launching the scheme in March this year, 30 business leaders from Perthshire based businesses, such as Stagecoach, Aviva and Highland Spring have committed to playing a major role in the city’s future. The ambassadors involved represent a diverse range of sectors, all promoting Perthshire and its opportunities whenever possible. The programme was developed by Invest in Perth, a council initiative aimed at positioning Perth City Region as the most desirable place in Scotland in which to live, work, invest and visit. Following its’ early success, there are now plans to double the number of ambassadors in the next six months – reinforcing growth in the city’s investment plan. Councillor John Kellas, Convener of Enterprise & Infrastructure for Perth & Kinross Council, said: “We have been delighted by the level of interest and commitment from business experts who all share the same passion, vision and aspirations for our city. “We hope that by creating this programme Perth will benefit from the experience and expertise of the ambassadors and their businesses. 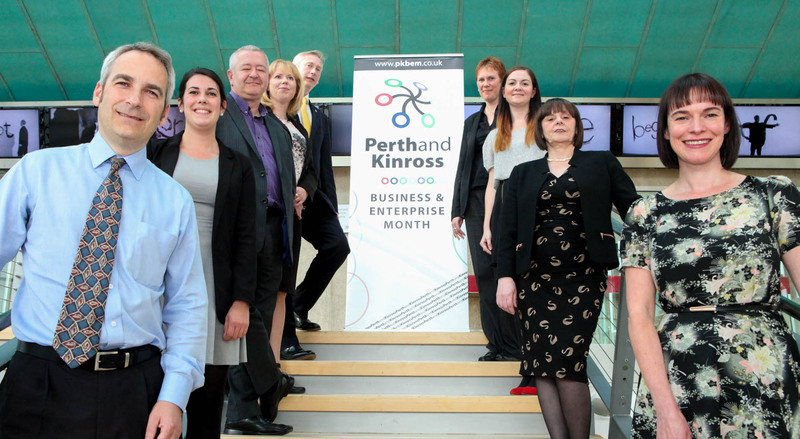 “The programme allows for greater communication and collaboration between Perth and Kinross Council, its public partners and the private sector as they work together to develop the Perth City region as the perfect place to live, work and invest. One of Scotland’s biggest companies, Stagecoach Group, has been headquartered in Perth for more than 30 years and has been involved in the Ambassador Programme since its launch. Director of Communications Steven Stewart, said: “Attracting business and investment to Perth and the wider city region can bring huge benefits for everyone in the area. “Making that happen is not just the responsibility of Perth and Kinross Council. All of us in the business community in the area have a role to play in selling to the world the huge advantages our vibrant city and the surrounding area has to offer. As part of the ongoing programme a business breakfast event was held on Friday (31st) for the ambassadors to network and discuss investment ideas for the future. Members of the Perth and Kinross Council also attended the event at the Kings James VI business centre in Perth, to watch a presentation on the City investment plan and hear the latest about major investment projects going forward. The business breakfast was one event of 36 taking place over the next month as part of the Perth and Kinross Business & Enterprise Month. Perth and Kinross Council, Perthshire Chamber of Commerce, Enterprise North East Trust, Federation of Small Businesses, Business Gateway and Perth College, Centre for Enterprise and Scottish Enterprise have developed the innovative and exciting programme of events, the vast majority of which are free.